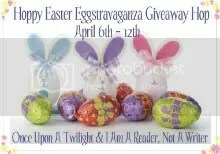 Welcome to another stop along the Easter Eggstravaganza Giveaway Hop! Thanks so much to Kathy from I Am A Reader, Not A Writer & Yara from Once Upon A Twilight for hosting. Please click the Hop logo below to visit the other sites and enter to win other terrific prizes. I’d also be grateful for a like on Facebook and a follow on Twitter, but it’s not mandatory. On April 13th I’ll choose a commenter using random.org, announce it on my blog and contact the winner, who will have 48 hours to respond. If I don’t hear from them, another winner will be chosen. Wow, I had a large number of entrants for my prize pack this time. As always, there can only be one winner, but I extend my sincere thanks to all who stopped by to say hello and tell me about their good luck charms. Hello and welcome to another stop on the Random Acts of Kindness Giveaway hop. Thanks so much to Kathy from I Am A Reader, Not A Writer, Books Complete Me & Author Cindy Thomas for co-hosting. To see the rest of the participants in this hop, please click the logo below and enter to win more great prizes. On March 234d I’ll choose a commenter using random.org, announce it on my blog and contact the winner, who will have 48 hours to respond. If I don’t hear from them, another winner will be chosen. Geez, this was supposed to post days ago, but … technology is a wonderful thing, isn’t it? Congrats! I’ll be in touch to arrange your prize. Hello and welcome to another stop on the Random Acts of Kindness Giveaway hop. Thanks so much to Kathy from I Am A Reader, Not A Writer and Lora from Read for Your Future for co-hosting. To see the rest of the participants in this hop, please click the logo below and enter to win more great prizes. On February 22ndm I’ll choose a commenter using random.org, announce it on my blog and contact the winner, who will have 48 hours to respond. If I don’t hear from them, another winner will be chosen. Congrats, Ashley! I’ll be in contact shortly to arrange your prize. 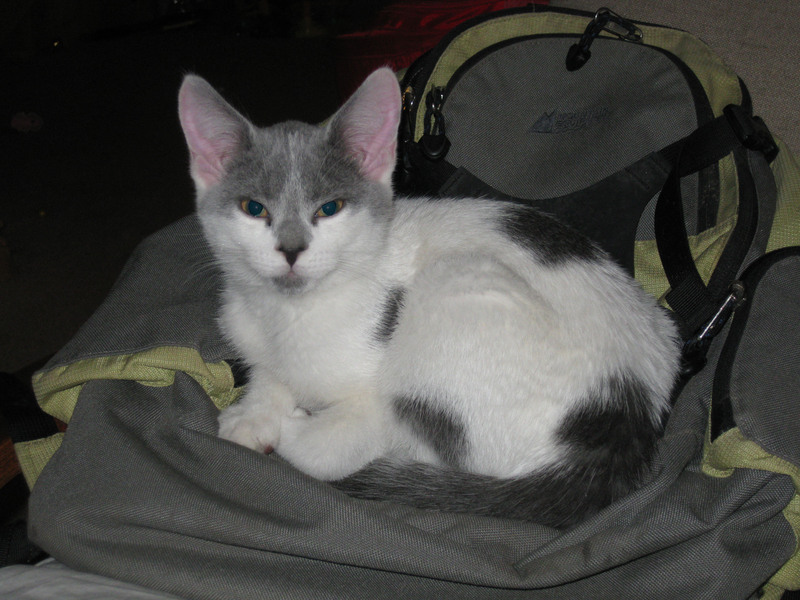 Wow, the debate has been quite heated this week as the names rolled in for our new little furbaby. We tested out a few of them, but none were just right. Although it wasn’t a unanimous vote, we’ve now chosen a name for our newest edition. Before I spill the beans as to who won the contest, let me tell you why we chose this particular name. 1. This little guy has serious wheels. He is so fast most of the time I only see a white streak when he runs by and half of the time he spins for a while before he goes anywhere. 2. Trying to sleep with this kitten wrapped around my neck is tantamount to sleeping in an old Volkswagen Rabbit TDI running on two cylinders. 3. He needed a manly name because of his little goatee. 4. He shares a name with one of the sexiest actors that ever lived. Okay, okay, I’ll tell you. It’s more of a big kitty name, so right now we’re calling him Little D, and it just feels right. Asher, from my big sister, Susan, came a close second. Thanks to everyone, especially Tammy, for all of your suggestions. I’ll be in touch to arrange your prize, Tammy! Congrats!